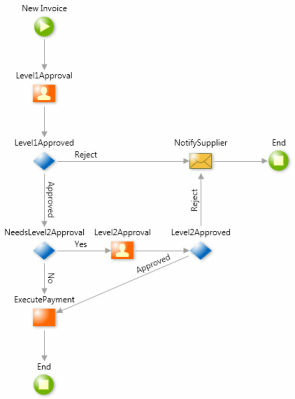 When designing functionality that queries runtime information of Processes, it is normally done through Process Entities. 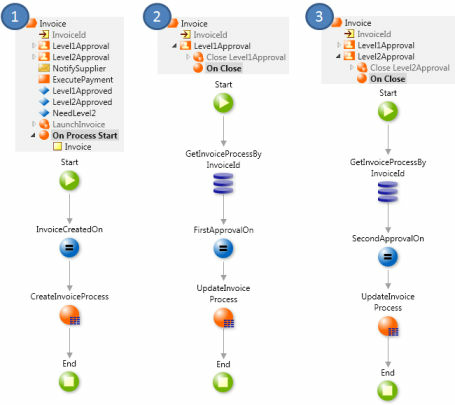 Each process entity makes available part of the whole process runtime information stored by the OutSystems Platform. As such, if the number of executing process instances grows to millions of records, queries over process entities will be slow. Use a Process Callback Action or an Activity Callback Action to add logic to manually store the needed runtime information. By creating this entity, you may also extend the logic and store other runtime information you need. As an example, imagine a process to pay invoices of suppliers: the invoice has to pass a first level of approval, then a possible second level of approval (depending on the amount to pay), and, if rejected on any approval, an e-mail is sent to notify the supplier. There is a requirement to make a report with the time it takes to make the first approval and also the possible second approval. There are thousands of invoices to pay, therefore, we should not use the process entity. ...and create an InvoiceProcess entity to store the date and time of: invoice creation, first approval, and second approval. On the Level2Approval human activity, add a On Close call back action to update the InvoiceProcess record with the second approval sdate and time.